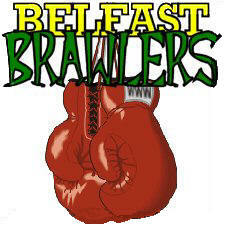 "Well another season has finished and once again Belfast finds it in a starting pitchers hole. Seems that it doesn’t matter if Belfast picks young or old pitchers, as they all seem to go down during the year needing surgery of some kind (Ugh! )We will like some other teams be picking up pitching again in this coming draft which we have been doing for what seems each draft the last 6 years or more which Keeps us from improving in other areas on the ball club .As usual we will try to remain competitive as best we can for this upcoming season ". let a pitch get away from him. Julio Lugo then singled scoring the run. Although they lost, Kennesaw Mtn did out-hit Belfast 23 to 15. The victory went to Sonnanstine(9-8) who went 8 innings, allowing no runs.